From US 31, travel west on Croswell Street to West Olive Road. Turn south on West Olive Road and travel a 1/2 mile to the entrance on the west side. NEW! Register for Programs, Field Trips & Camps Online! 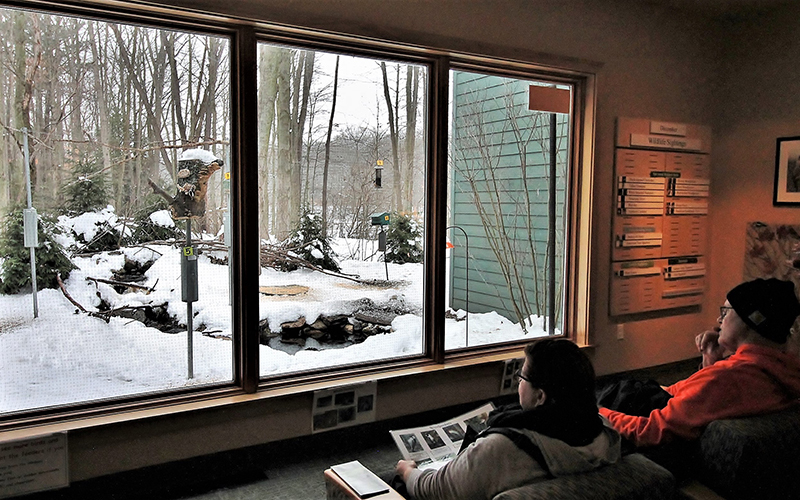 The Nature Center , located within Hemlock Crossing Park, has exhibits, a wildlife den with critters and activities, a wildlife viewing area where you can watch birds and animals at the feeders, and a gift shop. 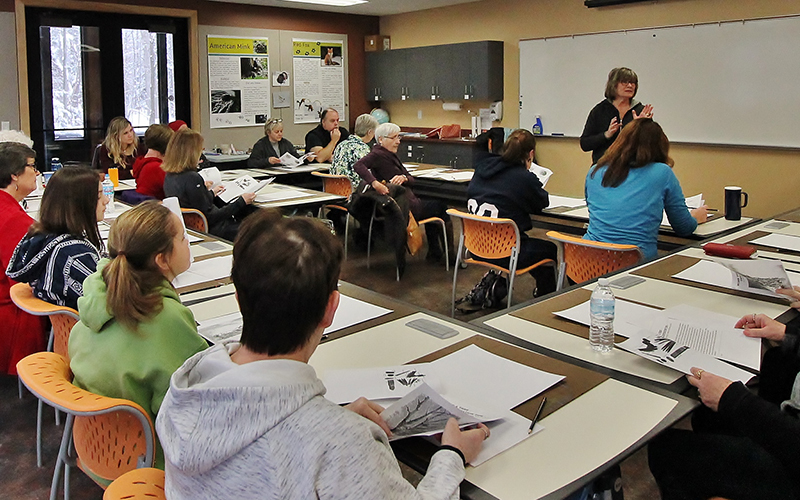 The center also hosts a variety of educational programs for schools, special groups and the public. 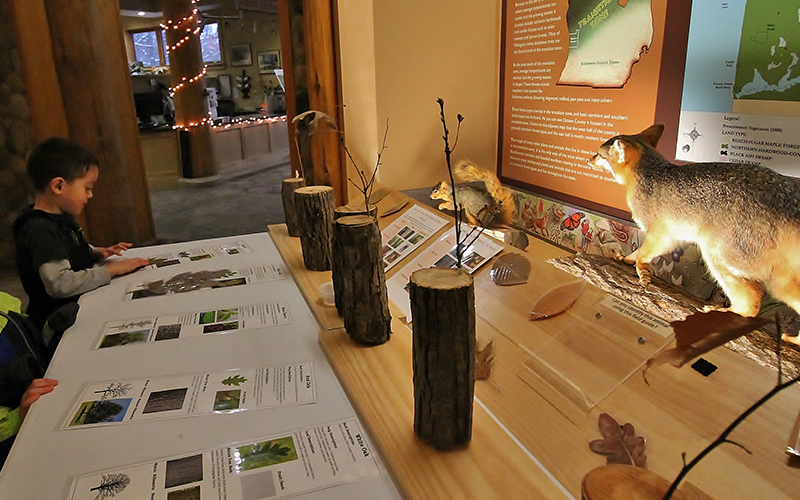 Please call the Nature Center at (616) 786-4847 schedule a visit, inquire about availability and make your reservation. This packet provides critical information you should know before you rent, plus helpful considerations while planning your event. To rent other facilities within the parks, please visit Rental Facilities. 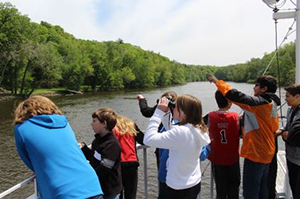 Looking for a memorable, educational outdoor experience for your pre-k through high-school students? 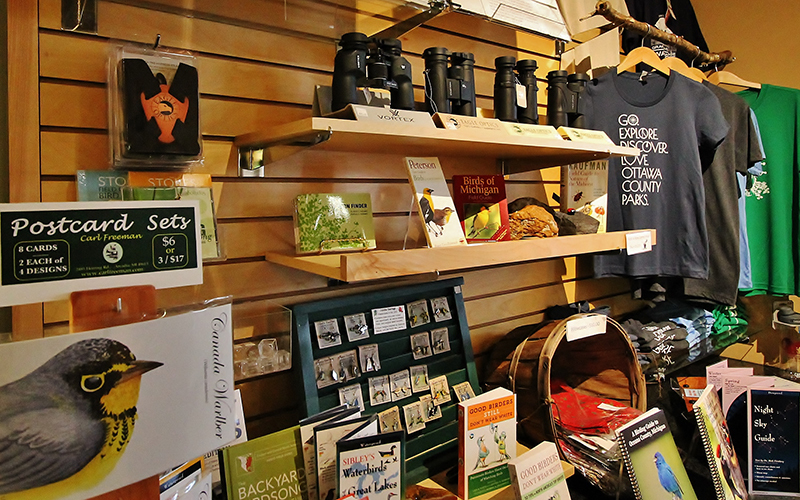 Look no further than the Nature Center. Our school programs enhance your students’ learning with experiences which cannot be duplicated in a classroom. The educational field-trips are designed to meet your students at the appropriate cognitive level and can even be adapted to incorporate the subject matter you are currently studying. 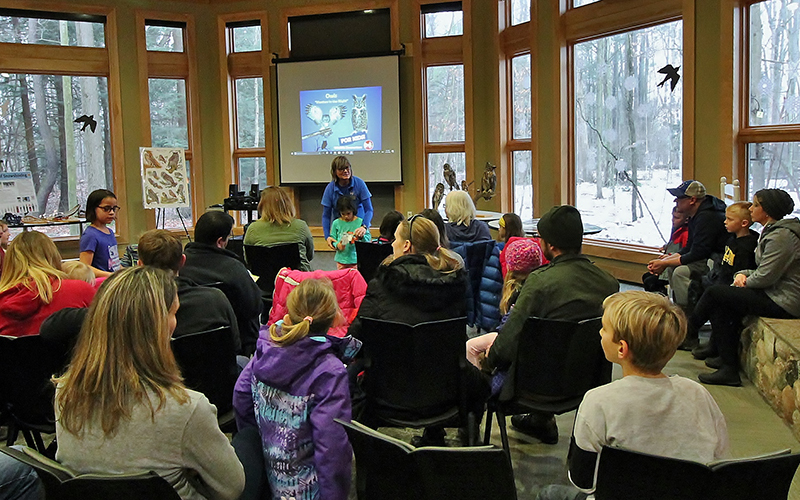 Year-round programs are available. If distance is an issue, there is bound to be a park near you where we can accommodate your class. Contact us today. 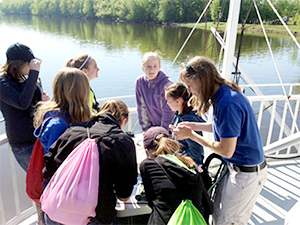 We are now accepting applications from teachers for the 2019 Grand Lady Riverboat trip for fifth grade students. The trip is on Tuesday, May 14 from 9:30am to 12:30pm. We’ll launch from the Grand Lady Riverboat Dock in Jenison. 5-PS3-1: Use models to describe that energy in animals’ food was once energy from the sun. 5-ESS3-1: Obtain and combine information about ways individual communities use science ideas to protect the Earth’s resources and environment. Interested teachers should apply online here. Cost is $5 per student, but minimum charges will apply (see below). We are working to combine several classrooms so meeting the minimum may not be necessary. The cost of the boat rental fee is covered in part by the Friends of Ottawa County Parks, a local 501(C)(3). 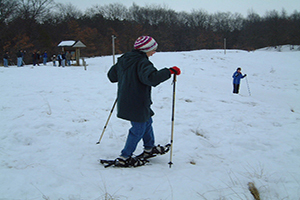 Hemlock Crossing offers snowshoe rentals for adults and children (4+) at the Nature Center. 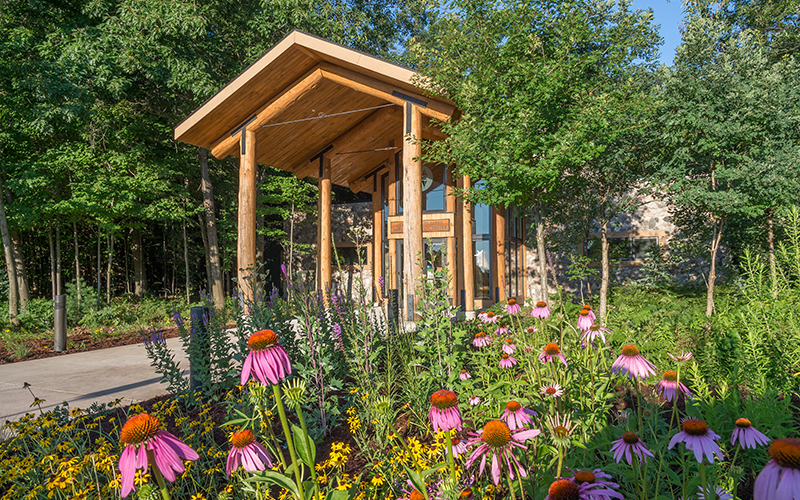 Guided walks are available throughout the winter; take a look at our program calendar for dates. 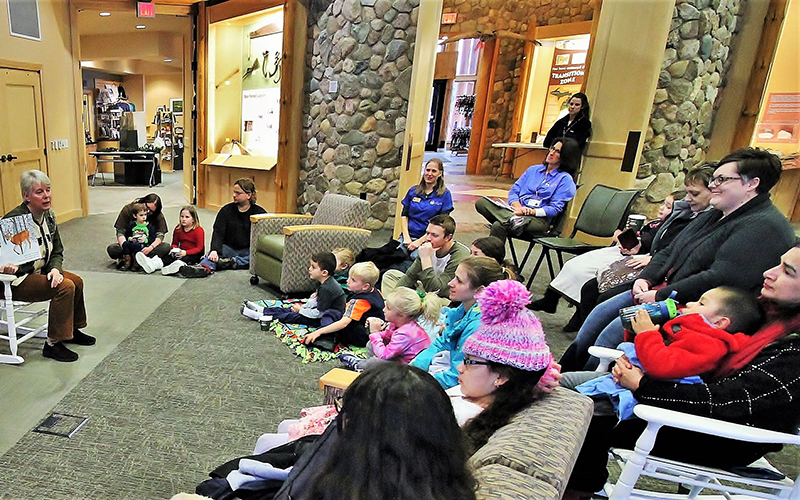 Visitors are invited to warm up in front of a fire in the Great Room after their snowy outing! 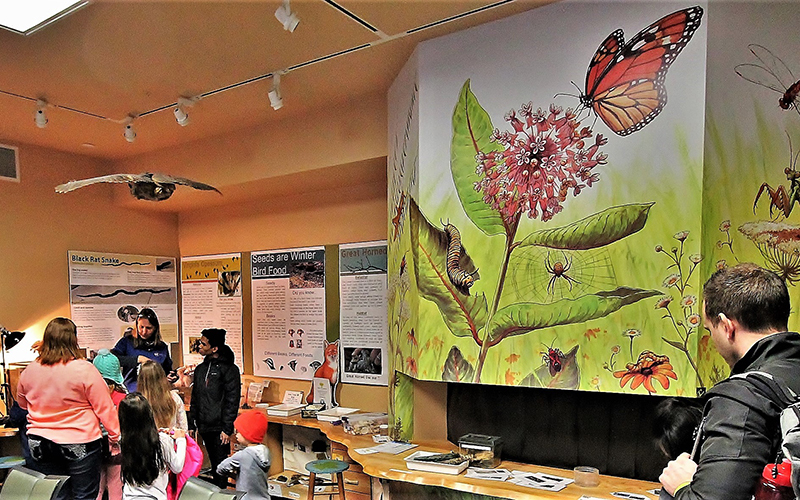 Contact the Nature Center at the phone number above to inquire about a group or school outing.